When individuals find themselves in the middle of an accident caused by someone’s negligence and have suffered injuries, the first thing that most people do is figure out what course of action they need to take in order to receive the necessary compensation. 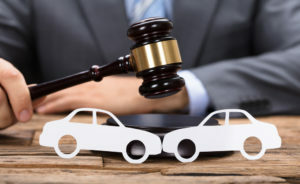 Upon first inspection, personal injury law may seem relatively straightforward and some believe they will be able to go to court and represent themselves. This may work for some, but for others, it simply backfires. If you have found yourself a victim of someone else’s negligence and are trying to figure out whether it is better to figure out the situation yourself or to have someone do it for you, here are the benefits of hiring a personal injury lawyer for your case. If you’re going up against a friend or a small business, the process is unlikely to get nasty or become long and drawn-out. These types of legal proceedings will be relatively short and easy to handle. When you’re going up against a large corporation or company, however, you are going to have a much harder time coming out victorious, as these types of organizations have large legal teams that are well-versed in this area of law and have the resources necessary to dedicate to trying to keep you from getting the settlement you want. With a personal injury lawyer, you will be better prepared to take on this kind of case with someone who is also well-versed in these law practices. To put it simply, attempting to take on your own case and go through all of the hoops necessary to make sure everything is going as required by law can be both expensive and time-consuming. As someone who most likely has a job and other such demands, you don’t have this kind of time to devote. With a personal injury lawyer whose job is to take care of these cases, you will have someone who can handle all of the paperwork for you and who can give you a clear layout of what is going to happen and what you can expect. In return, you typically only have to pay a small fee and avoid all of the additional hassle. When you go one-on-one against larger entities, they may try to use tactics in order to force you to take smaller settlements or make it seem like the blame is on you so that you avoid taking legal action. Even though this can sometimes be effective, having a personal injury attorney on your side will help you differentiate what is truth from what is simply a strategy to keep you from going after what you may be entitled to. In addition, attorneys will be able to work around these tactics and produce the necessary proof and argument needed to win. Overall, it is usually a better idea to hire a personal injury lawyer than it is to take on your own case, even if you are dealing with a case that doesn’t involve large corporations. For those who were previously debating whether or not to hire a personal injury lawyer, the above reasons should give you a clear picture as to why it is often necessary. If you have been injured as a result of someone else’s negligence and need to be compensated for the damage, seek out the best personal injury lawyer in Toronto and get your case handled efficiently!